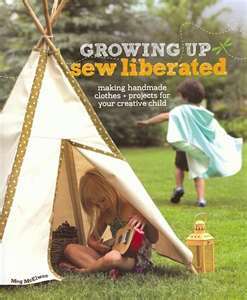 I have been eagerly awaiting the publication of Meg McElwee's new sewing book for children, Growing Up Sew Liberated. You may know Meg by her beautiful line of Sew Liberated sewing patterns, such as her Schoolhouse Tunic, or by her first sewing book, simply titled, Sew Liberated. Her Emmeline Apron has been on my sewing wish list for ages! Meg, both a Montessori teacher and mother of young children, has written a beautiful and inspiring book for anyone who loves to sew for little ones. Patterns for clothing, babies, home, and both indoor and outdoor play are just right for active young children. The beauty of her projects are that they aren't truly finished until they are in the hands of a child at play. Clothing patterns, such as the Crossover Tee, are designed for ease of wear and comfort. 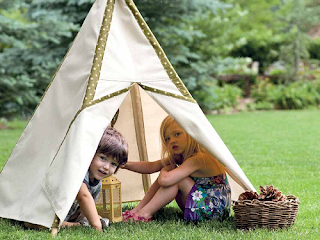 The Hideaway Play Tent, featured on the cover of the book, leaves everything up to the imagination! 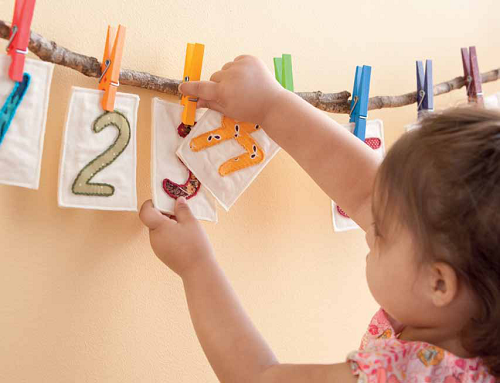 I love the way Meg's sewing projects offer up a fun and tactile way to teach children, whether about how to set the table, keep track of dress up clothes, or learn about math and numbers. 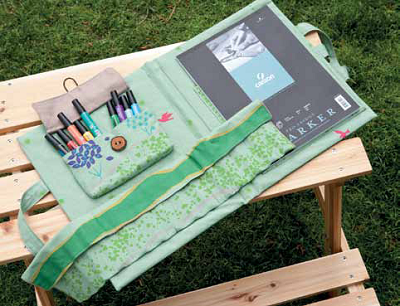 The Art Satchel would be just perfect for my three very creative and artistic children who love to draw- just like their dad! Perfect for play acting fairy tales, poems, or Mother Goose Rhymes, the Kitty Lovey Puppet is simple and sweet. I have to say, though, that my most favorite pattern of all is the Little Amigo doll and clothing. 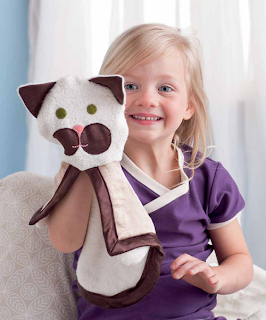 I know this will be on my must-sew list as soon as our daughter catches a glimpse of it! 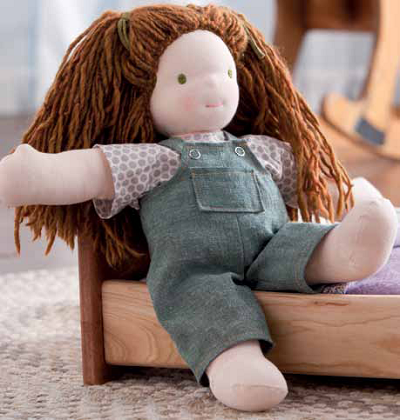 All of Meg's patterns have a timeless and classic style while keeping the fun and creativity of childhood play as their focus. I am really looking forward to sewing from this book, and even more, to the many happy hours of play my children will enjoy from the finished projects! To learn more about Meg and her books and patterns, you can visit her website here. You can learn more about her newest book by visiting her publisher's site here. A review copy of this title was kindly provided by Interweave.